One of the FWATA Student Committee’s goals is to promote the Athletic Training profession and reach out to Athletic Training Students in District 8. This year the Outreach sub-committee created a PowerPoint presentation that details what an Athletic Trainer is and the educational requirements of becoming one. The intention of this presentation was to create further awareness of the profession during National Athletic Training Month, as well as give entry-level Athletic Training students and those interested in allied healthcare professions a better understanding of the process of becoming a Certified Athletic Trainer. The presentation was distributed to students in Athletic Training Programs to use during the month of March in an effort to educate as many students as possible. 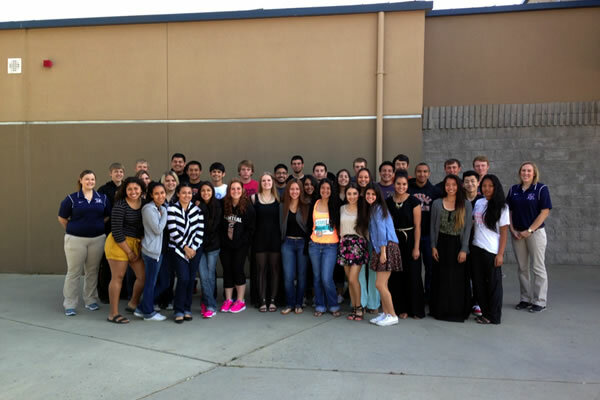 The Fresno State Sports Medicine Club (SMC) was able to schedule 10 visits to local high school ROP and medical classes, and Intro to Athletic Training labs. The visits brought a very educational message to the students, and the Fresno State SMC received positive feedback, questions, and interest from its audience. The volunteer student presenters exemplified great leadership and passion for the profession through their united efforts to spread the word to young students and possible future athletic trainers!